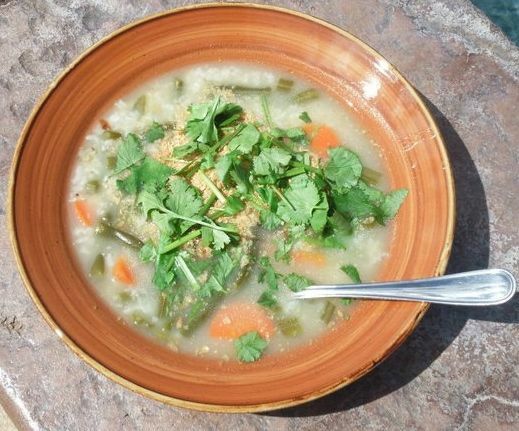 Kitchari (pronounced kitch-a-ree) is the essence of Ayurvedic nutritional healing. Eating kitchari is the most gentle way to cleanse your body and improve your overall health from the inside out. Kitchari has been used for centuries to rejuvenate and detoxify the cells and nourish all systems of the body. Kitchari is a vegetarian soup typically comprised of a grain and a legume combined with specific vegetables and spices to target specific organs or body systems. Its nutrients are easy to digest and assimilate which restores digestion (Agni) to its optimal function. With strong Agni (digestion), we are vital, energetic, and innately able to heal what ails us. Samana Wellness kitchari recipes optimize digestive, pancreatic, liver, spleen, gallbladder, kidney, respiratory, and immune function. 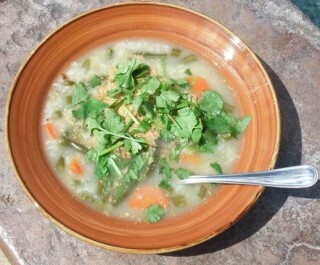 Kitchari is considered tridoshic or beneficial for all body-types and constitutions. Common effects of kitchari cleansing (3 or more days of eating only kitchari) are emotional stability, weight normalization, mental clarity, and a renewed sense of wellbeing. Samana Wellness offers cleansing mini-retreats on Maui as well as private customized kitchari cleanses both in person and via Skype. 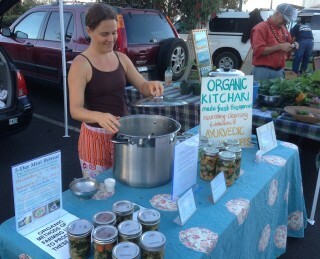 Danielle is no longer selling kitchari at the Upcountry Farmer’s Market, but if you are interested in ordering some soup or hosting a cooking class, let me know. Return my widemouth jars and new-looking lids, and get $0.50 credit for each of them as long as they are clean and in good condition.